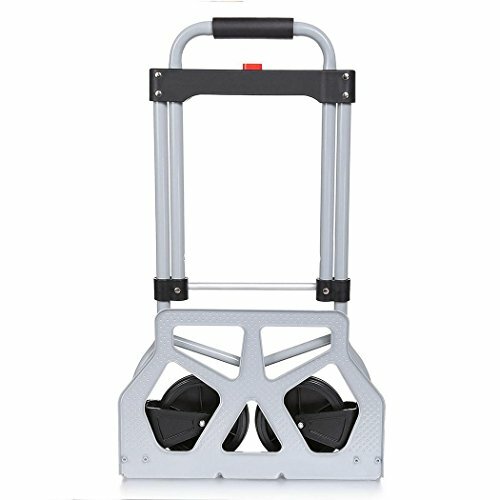 Sturdy enough to hold up to 220lbs, you'll find many uses for this handy cart at home, work, and while traveling. Folds up for easy storage, Ready to use, no assembly required. Opens instantly with the touch of a single red button. Great for use at campgrounds, picnics, while traveling, shopping or work! Easily haul boxes, luggage, groceries and much more! If the item broken, damaged or wrong item received, customer only need to send a picture to us will be ok, and then we will refund or resend in 24 hours, and customer need not to return it to us. If you have any questions about this product by Dtemple, contact us by completing and submitting the form below. If you are looking for a specif part number, please include it with your message. Daonanba 2 x Workshop Tool Trolley 220 lbs. 3 Shelves Useful Transport Tool Red 3.7"